Kensington Roof Gardens, Sir Richard Branson's club, has decided to stay with incumbent EdenCancan after launching an agency review at the end of last year. EdenCancan fought off competition in a pitch process involving two other agencies. Kensington Roof Gardens, which incorporates the Babylon restaurant, is one of a collection of locations that target high-earners under Sir Richard Branson's Virgin Limited Edition brand. Other venues include the Kasbah Tamadot hotel in Morocco and Branson's hideaway, Necker Island, in the British Virgin Islands. The agency is tasked with promoting the club as more than just a drinking spot for high-earners and showcasing the four businesses in events, the club, the restaurant and the gardens. EdenCancan, which held the account for five years, had to repitch for the work after Virgin started a business-wide review. 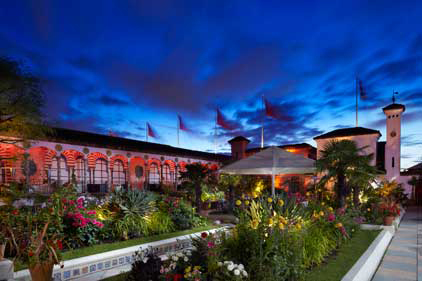 PRWeek covered the pitch story and was told by industry sources at the time that the review was sparked by Kensington Roof Gardens in an attempt to reassert its credentials as one of London's top private members' clubs, having recently fallen behind West End venues such as Soho House, the Hospital Club and The Club at the Ivy.